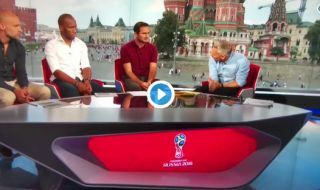 Former Chelsea duo Didier Drogba and Frank Lampard were a deadly partnership in their day, and they combined brilliantly again as pundits on BBC Sport today. While discussing Kevin De Bruyne’s failure to make it at Chelsea despite becoming such a world class player for Manchester City and Belgium, Lampard explained that the Blues had an embarrassment of riches in that position at the time. Lampard explained that it was hard for De Bruyne to get into the team and listed off big names like Eden Hazard, Juan Mata, Oscar and Andre Schurrle that were blocking his path to the first XI. Drogba then jokingly mentioned flop winger Marko Marin, who barely played for the club and had four different loan spells during his four years at Stamford Bridge.